Cookies are part of every holiday, especially during Christmastime. 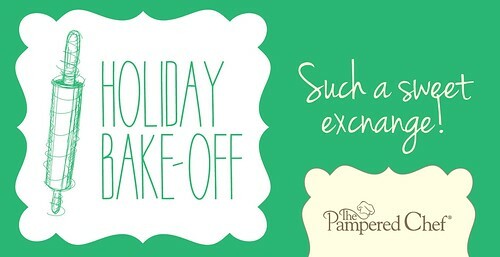 It's no surprise many cookie swaps are happening all over the place and I was thrilled that I was selected by The Pampered Chef to participate in their 2012 Holiday Cookie Swap. I used to be a Pampered Chef consultant years ago so my kitchen is full of their products which I still use to this day. 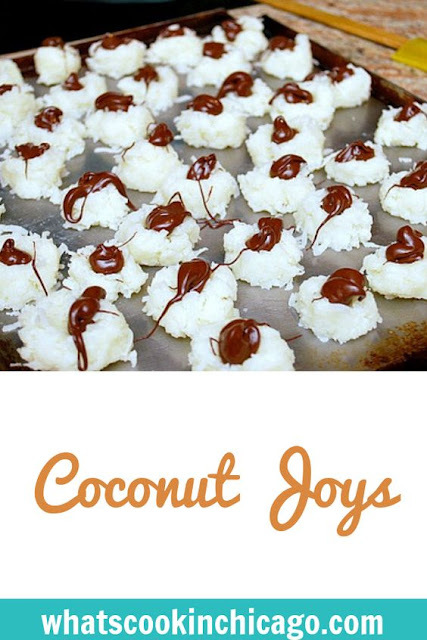 For the cookie swap, I'm contributing these Coconut Joys which can be made easily with various Pampered Chef products. Marnee, The Baron's mom, had Joel and I help make these and it was so fun! Easily done with kids, this treat requires no baking at all and minimal stovetop cooking... or can be done with the use of a microwave. The coconut, sugar and butter and combined in a large bowl and then formed into small balls. Each ball then gets a little indention in the middle, just enough for a little pool of chocolate to sit in. 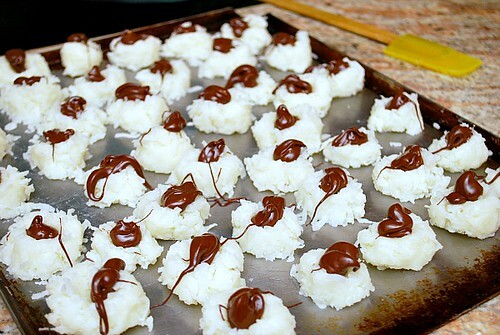 Once the coconut balls are touched with a bit of chocolate, these are left to set up before devouring. If you like Almond Joy Candy Bars, add a whole almond on top of the chocolate for a different twist! In a Small Batter Bowl, combine the coconut, confections sugar and butter with a Mix & Scraper Spatula. Form into 1 inch balls and place on a waxed paper or parchment paper lined cookie sheet. Using your finger or Mini Tart Shaper, make an indentation in the center of each ball. Fill the indents with melted chocolate with a Decorator Bottle. Chill until chocolate is firm and store in the refrigerator. can't wait to make (&eat) these - thanks so much!